Let Your Hair Blossom With These Seasonal Spring Hair Colors! 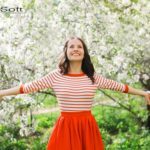 As spring rolls in this year, you’ll likely be inspired by the burst of color sprouting all over and want to join in on all the fresh renewal unfolding before your eyes. You can do this the traditional way and update your wardrobe for the warmer months with bright colors or you can be a little different and apply these colors to your hair instead! New spring hair colors are in bloom like lovely flowers in 2016. Check them out for yourself and maybe you’ll find something you’ll love! Believe it or not, dip dyeing has yet to fall out of style. While this hair coloring technique may remind you more of your high school days, you’re never too old to join in on trends! It’s also the perfect solution for people who want a bit of new color in their hair but don’t want to apply it from root to tip. It’s also much easier to maintain because you won’t have to worry as much about touch-ups or those pesky roots beginning to show. You can get this done in any color you like, but unnatural colors seem the most popular. Quality hair care will keep your blondes bright. Blonde hair will always remain a classic. 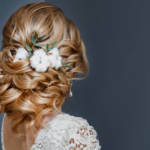 However, this spring you’ll probably be seeing the return of sunnier shades of blonde in comparison to the pale, near-white blondes that have been more popular as of late. Strawberry and yellow blondes are especially in season, creating a great sense of vibrance and warmth that can work with all skin tones. Why not join in on this trend and brighten up your locks? The best sulfate free shampoo is required for colored hair. 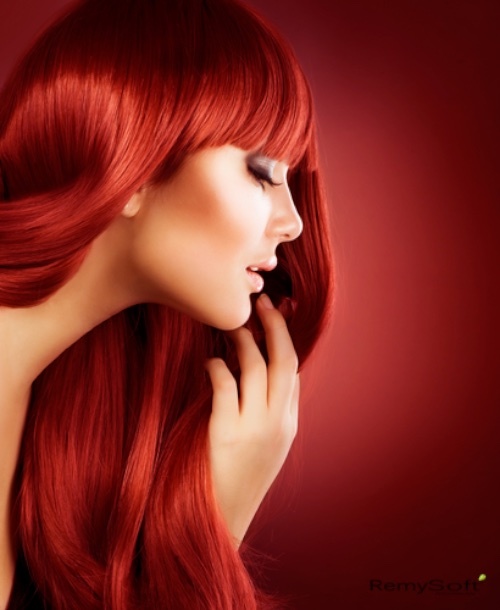 This color has enjoyed increasing popularity since the start of this year, mainly due to its ability to straddle the line between an unnatural Little Mermaid red and more commonplace hair colors. Stylists predict this color and other shades in the same family will be 2016’s defining hair color option. This color choice is similar to the “bronde” trend in that it’s brunette combined with blonde. The difference, however, is in the shades. 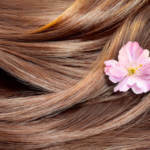 Stylists will apply warm, nutty browns to your hair and brush in sunny blonde highlights to help boost your hair’s body. Your hair will look gorgeously sunkissed! Shiny hair extensions can help you achieve these looks. Much like blonde hair, unnaturally dyed hair will always be a staple. It’s only the shades that change, and darker, subtler shades are coming into style these days, often applied to only a portion of the hair for a bit of extra color. You can emulate the peekaboo look with shiny hair extensions if you don’t want to commit to any actual dyeing and still look great! No matter what coloring technique you choose for your hair, you’ll have to treat it to quality hair care to keep it healthy and glowing. On our site, we have an ample selection of the best sulfate free shampoo. For more information on what we do and what we offer, contact us! Start Off Spring With These Adorable Hairstyles!